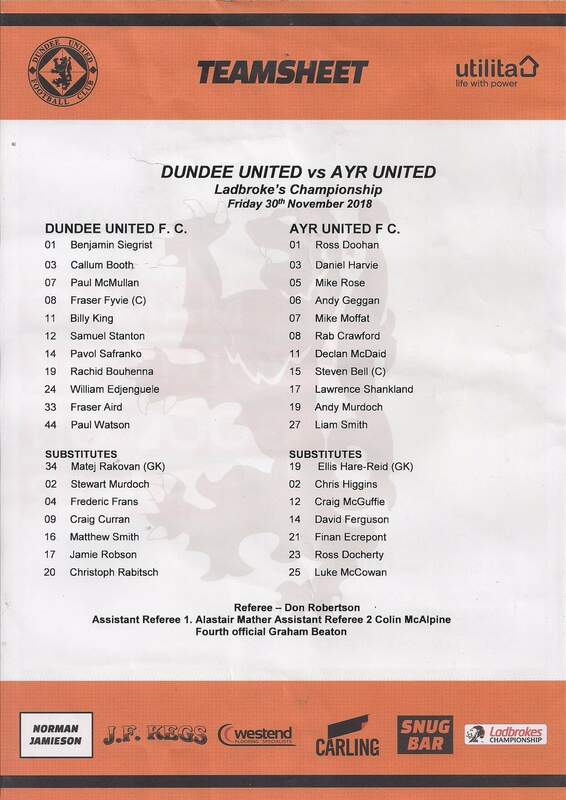 United’s unbeaten run under new head coach Robbie Neilson came to an abrupt end after a humiliating 5-0 defeat against league leaders Ayr United at Tannadice, in what was Dundee United’s first defeat at home against the Honest Men in over 40 years. Dundee United could have gone level on points with their opponents with a victory, but they were never at the races against Ayr, with the visitors producing a stunning performance. Four of the goals came from in-form striker Lawrence Shankland, taking his own record for the season to a scarcely believable 26 goals in 23 games. The home side made two changes from the team which had beaten Alloa Athletic 4-2 in their last game, with captain Fraser Fyvie making a welcome return to the starting line-up. Billy King also returned to the starting eleven, and they replaced Christophe Rabitsch and Nicky Clark. The TV match kicked off in a great atmosphere under the Tannadice floodlights in front of a healthy crowd of just over 6000, although no Dundee United fan could have been prepared for the 90 minutes which were about to unfold. The match began in a suitably inauspicious manner as the away side took the lead in the third minute of the game. Inattentive defending from Dundee United saw Daniel Harvie played down the Ayr left hand side with a quick free kick. His cross was deflected into the air over the head of William Edjenguele, and landed perfectly for Lawrence Shankland, who planted a superb header past Ben Siegrist and into the back of the net for his 23rd goal of the season. The same player nearly grabbed a second goal a few minutes later after a pass from Andy Geggan found the striker in space in the penalty area. Shankland met the pass first time but clipped his effort just wide of the far post. Home goalkeeper Ben Siegrist was evidently struggling after that opportunity, and sure enough a hip injury forced him to be replaced by Matej Rakovan soon afterwards in another blow for the home side. 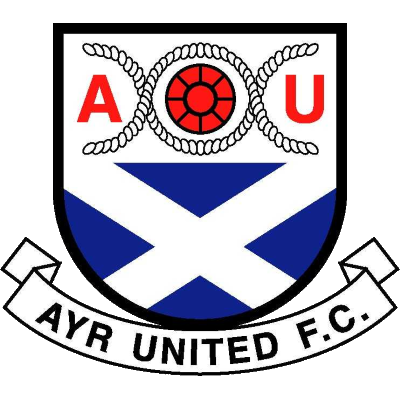 The first chance for the Terrors came in the 16th minute after a low corner kick from Fraser Aird was driven over the bar by Fraser Fyvie, but that was nothing more than a blip in a first half of almost total dominance from Ayr United. Declan McDaid fired over the bar in the 22nd minute before the same player forced a good save from substitute goalkeeper Matej Rakovan a couple of minutes later. McDaid went on a surging run into the Dundee United box and his fierce shot was well parried by Rakovan, although straight into the path of Michael Moffat, who failed to keep his first time shot down and the ball sailed over the bar. Two minutes after that, Rakovan was called upon again to thwart Lawrence Shankland, as the Ayr striker skinned three Dundee United defenders before seeing his shot saved by the Slovakian goalkeeper. Shankland then had another decent chance on the half hour mark after again skinning both Rachid Bouhenna and William Edjenguele, and again Rakovan had to look lively to smother his low left foot drive from just inside the Dundee United penalty area. Out of almost nothing, the home side had a great chance to equalise after 34 minutes. A good move down the right-hand side saw Fraser Aird cross pick out the unmarked Paul McMullan in the middle, but McMullan could only head the ball straight at Ayr United goalkeeper Ross Doohan, who finally got his gloves warm after over half an hour of inaction. As the half drew on, the away side continued to look the more likely to notch the next goal, and sure enough with four minutes left of the first half the away side took a two goal lead. Again, the goal came from the Dundee United right hand side as Declan McDaid once again found space down that side. His low cross failed to be cut out by the home defence and Lawrence Shankland swept home from around four yards out to double the lead. It was the very least that the away side deserved. There were no more goals before half time, although just before half time Fraser Fyvie tried his luck with a long range free kick, although it sailed over the bar. In an attempt to try and rescue the game, Craig Curran was brought on at half time for the rather ineffectual Billy King. It did work to a certain extent, as the home side did start the second half brightly. Their best chance of the game came early in the second half, when Fraser Aird met a deep cross from Paul McMullan at the back post, but he could only clip his volley over the bar. Soon afterwards, only a last ditch tackle on Lawrence Shankland by Paul Watson prevented a third goal after the Ayr striker had been played through on goal by a ball from Robbie Crawford. The points should have been sealed with twelve minutes gone in the half after Michael Moffat raced clear of the Dundee United defence, but he elected to shoot rather than passing to the unmarked Declan McDaid, and Matej Rakovan was able to smother the shot with his legs to keep the home side’s faint hopes alive. Ayr United were rather comfortable by this stage and could have got on the scoresheet again with a Shankland free kick from 25 yards out being deflected wide by the Dundee United wall. All the home side had to show for their efforts in the second half was a Paul Watson header from a Fraser Aird free kick that sailed wide of the post, and a Paul McMullan shot which went wide with fifteen minutes remaining. The points were sealed with thirteen minutes to go, and it was a fine goal. A simple ball over the top from Andy Geggan sent Michael Moffat through on goal beyond a square Dundee United defence. The veteran striker drew Matej Rakovan before slotting a fine finish past the Slovakian goalkeeper to give Ayr United a 3-0 lead. That was not the end of the scoring, however, as Ayr United fully exploited a home side who were utterly devoid of any belief or confidence. The away side duly scored their fourth goal with three minutes remaining. After a ball into the box was headed towards goal by the rampant Shankland, a hesitant William Edjenguele let Michael Moffat nip in between the defender and his goalkeeper to challenge for a high ball just six yards out. Trying to nullify the threat Edjenguele chose to barge Moffat into Matej Rakovan and, with no hesitation, referee Don Robertson pointed to the spot. Rakovan was able to get his hands to the spot kick from Lawrence Shankland, but the kick was so powerful that the keeper could not keep it out, and Ayr United had a 4-0 lead, with Shankland completing his hat trick. A fifth goal was to arrive a mere two minutes later, with very few home fans still left inside Tannadice. Liam Smith played a long ball into the penalty area where Lawrence Shankland made space for himself, controlled on his thigh, before thumping home under pressure from Watson, Bouhenna and the advancing Rakovan. Shankland had his fourth goal of the night, and the Honest Men had their fifth. 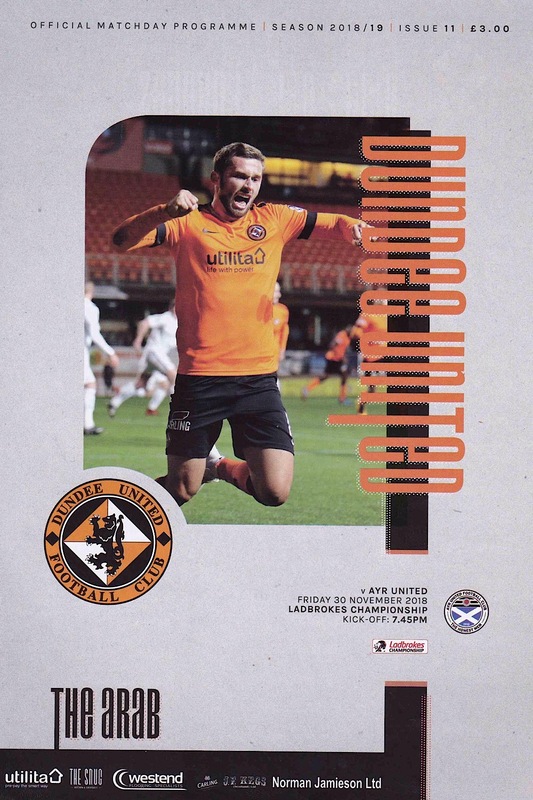 The win was every bit as emphatic as the scoreline suggested, with Dundee United possibly fortunate that the score had not been even worse on the night as they struggled to cope with Ayr United’s play and Lawrence Shankland’s finishing. 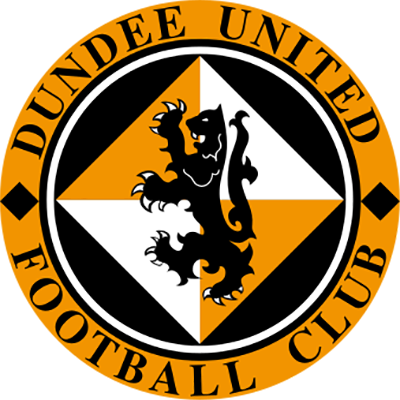 The defeat left Dundee United still in third place in the Championship, although now six points behind their rampant opponents.